While there is no cure for HIV, daily use of combination antiretroviral therapy medications suppresses the viral load in the blood and body fluids of those infected with HIV and reduces the risk of transmitting the virus; however, the viral reservoir remains in the body and can re-activate at any time if combination antiretroviral therapy is discontinued. In a new study published in the Journal of Virology, investigators examined viral samples from 30 male study participants in Canada aged 22 to 59 years with recent HIV infections who were taking anti-HIV medications to understand factors that determine HIV reservoir size, or the number of cells that are latently infected with the HIV virus. Investigators have previously studied how the various clades, or subtypes, of HIV impact disease onset, progression, symptoms, and related side effects. In Canada and the United States, HIV clade B is the most prevalent subtype. Previous research has found that those with clade B have larger HIV reservoirs compared to individuals with HIV in Uganda with clade A or D, who can have HIV reservoirs that are 3 times smaller than those with clade B. Smaller reservoirs are associated with HIV remission and post-treatment virologic control, and early combination antiretroviral therapy initiation limits HIV reservoir size. In the new study, investigators hypothesized that larger HIV reservoirs associated with clade B may be linked to an HIV gene called Nef, which encodes the HIV accessory protein that modulates key immune evasion and pathogenic functions and helps the virus evade immune defense in early infection. Clade B viruses have a more functional version of Nef, which has led investigators to examine if this factor helps the virus establish larger reservoirs. For the study, investigators collected blood at baseline upon combination antiretroviral therapy initiation and again at 48 weeks following treatment initiation for immunologic, clinical, and reservoir size assessments. Of the 30 participants in the study, 25 had clade B HIV and 5 had another HIV subtype. Following a year of treatment, investigators found that study participants with clade B HIV had larger reservoirs than participants with other subtypes. In addition, viral Nef genes for the 5 participants without clade B HIV were less active than in those participants with clade B. Investigators also observed that less active genes correlated with smaller HIV reservoirs. 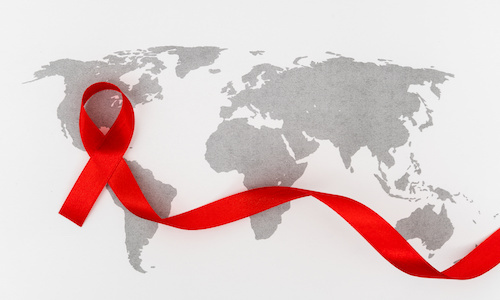 According to the study’s authors, the study has implications on the development of new HIV treatments, and potentially, one day, a cure.